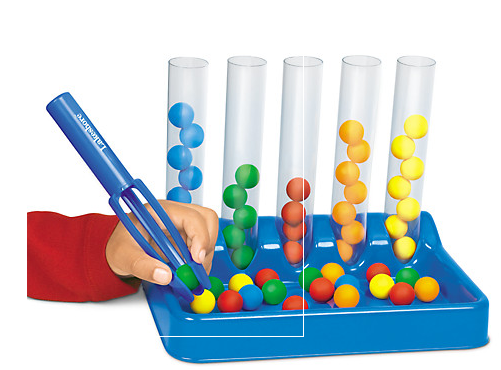 eye/hand coordination—with this super-engaging color sorting kit! the muscle control and coordination they’ll need to start writing. parts and small ball. Not for children under 3 yrs. tweezer tongs between the thumb, index finger, and middle finger. sort it by color into a tube. hard?” Help any children who struggle. in a center for independent use. higher numbers on the tubes. tweezer tongs to sort the items into the matching bowls. • Prompt students to sort colored pom-poms instead of the balls! students to sort the pom-poms into the tubes by color. few months to track their progress.